Blessed be all the mothers of mothers. Blessed be all the children of mothers. I keep feeling like making some big, philosophical, insightful post today and I also keep wanting to share some of the great articles I’ve read lately (my file of things to blog about has reached epic proportions). I also have stacks of draft posts partially written and waiting to be polished and posted. And, then, I realized that this feeling–at least in the moment–was primarily rooted in “should” and that what I really want to do today is to take a break, to rest, to read and to wallow in my stacks of books, and to maybe make some art. 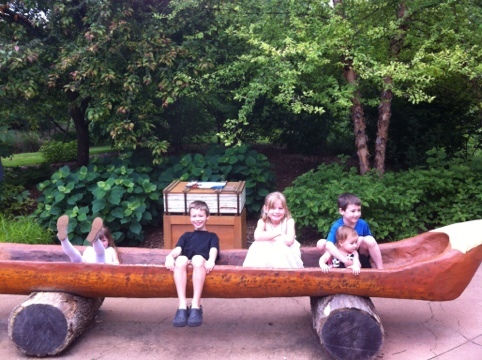 So, just a quick update post sharing some pictures from today and from our homeschool field trip to the Botanical Garden in St. Louis (we also had another appointment at the pediatric dentist for Alaina since the filling that I was so happy about last week fell out the following day. 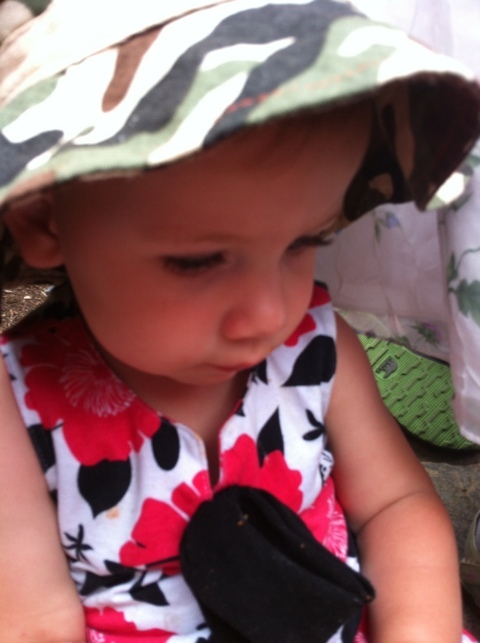 This trip was pretty traumatic–she was restrained in the baby wrap thing and it was awful for us both–but it’s over now and so I’m not going to spend any more time thinking about it). 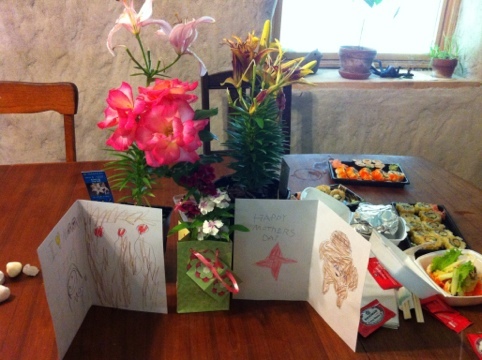 We went to the flower communion at my little UU church and the boys surprised me with new lilies to plant. They also made me great cards–Lann’s has a cool drawing of the Goddess of Willendorf and Zander’s has a sweet note saying, “I love MOOM” ;-D Mark picked up sushi for lunch and we took it home to eat. 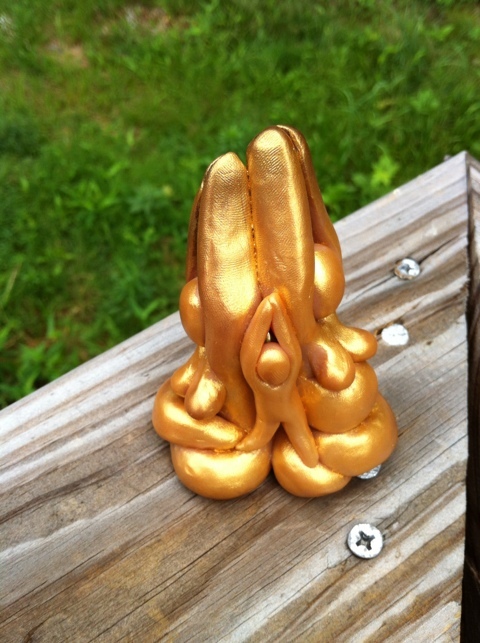 I made a new three generations polymer clay goddess sculpture for my mom to replace the one I’d made for her after Alaina’s birth that got accidentally broken. I actually like this one better than the original. 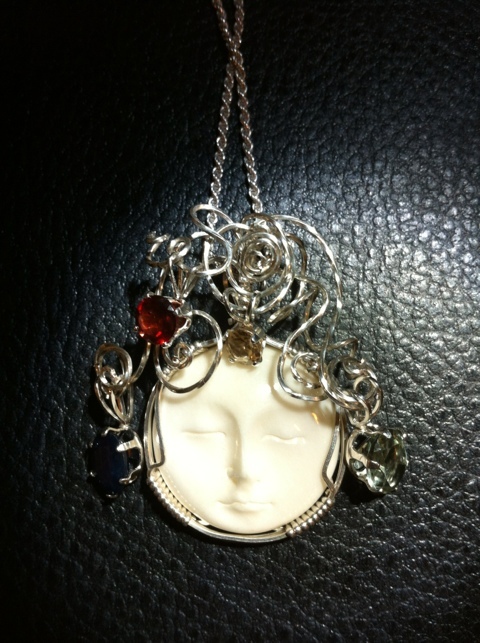 It is only the second three generations sculptures I’ve ever made–she’s special! With friends in a model canoe! 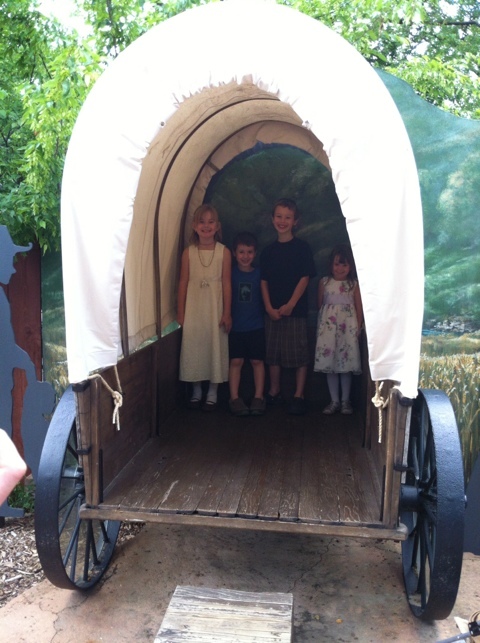 With friends in a model covered wagon! 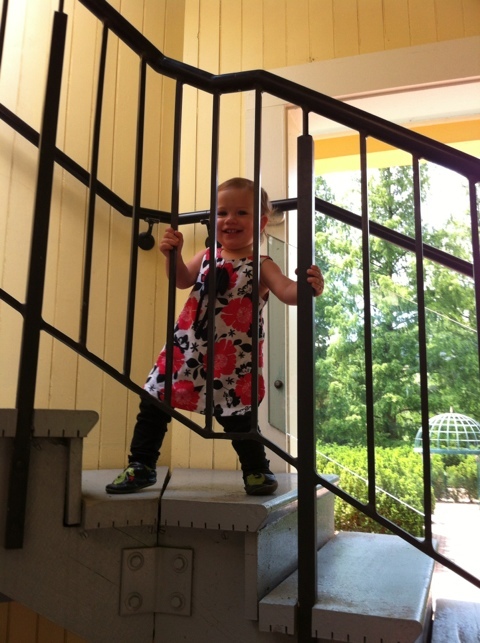 Laina’s big enough to climb all the way up the stairs in the watchtower by the shrubbery maze! 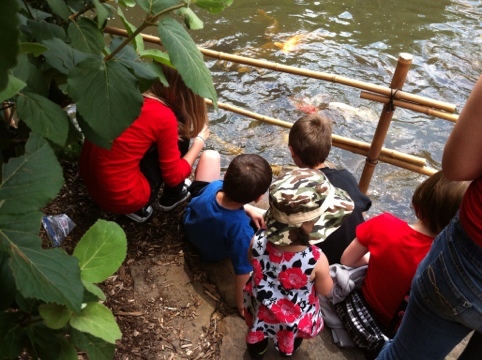 Koi feeding was a major hit with all. 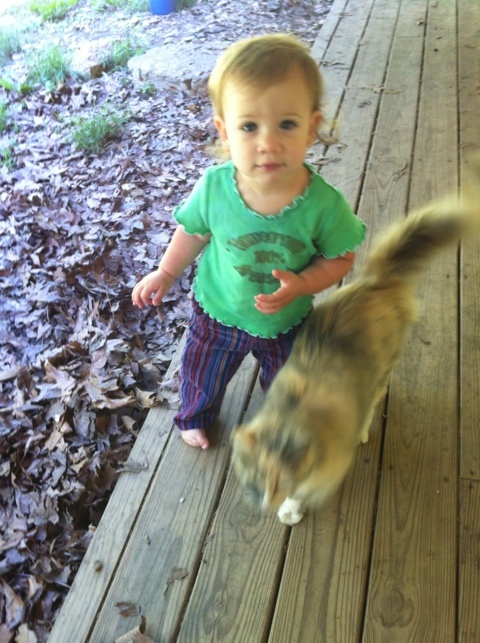 Different day–trying to show some cute corduroy pants I bought at a yard sale when I was pregnant with Zander. I later gave them to my friend when she had a girl saying that I was probably never going to end up using them since I probably wouldn’t end up ever having a girl. Last week when I visited my friend on my birthday, she gave the pants back to me! How special! 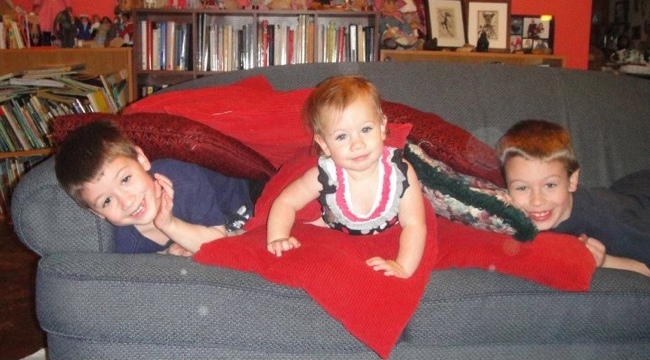 So, I had to put them on Alaina even though it is really too hot for them right now. In case anyone is wondering, “how did she have time for articles while grading those 50 papers,” I didn’t. I revised the ICEA articles in December (from an article originally written in 2007 and a review written for my blog in 2010) and I wrote the two for Restoration Earth in March on my break from class (again pieced together from blog posts written over several years). Not that I need to explain myself, but this writing/publishing thing is not a quick process and I think sometimes people think I just magically write articles and have them appear in print that same month. And, these publications prove to me again that my blog is not a waste of time at all–all kinds of article seeds are found there! 🙂 Go, bloggers! You’re producing a genuine body of work! Since writing the above, I also thought about how many seeds for my dissertation can probably also be found here. Though the bulk of my writing for it is probably still a couple of years away, I’m constantly finding articles and quotes and having thoughts and ideas related to my dissertation subject and I will continue to collect and store them in this way as the ideas deepen, grow, and expand. *blessing modified slightly from the original.